Clackamas Fire District #1 serves over 179,000 citizens, making it one of the largest fire protection districts in Oregon, USA. Throughout Clackamas County are 18 fire stations responsible for covering an area of around 200 square miles. All of their fire engines have on-board PCs which display maps and call information to the fire fighters when they are travelling to the site of a fire. With RealVNC remote access software with an Enterprise license deployed, these can now be maintained remotely, eliminating the need for staff to travel to individual stations to fix problems and, more importantly, keeping engines on the road ready for emergencies. Clackamas Fire District #1 has 18 fire stations located throughout Clackamas County. Every fire engine at each of these stations has an onboard PC which is used for displaying maps and the 911 call information to the fire fighters when travelling to an emergency. With a small IT team of three staff, the fire district required a solution that would allow problems or maintenance on these mission-critical PCs to be carried out quickly and easily, keeping the essential applications needed to respond to fires working around the clock. Previously, any problems with the on-board PCs would require one of the IT team to travel to the station of the specific engine to fix it. Due to the nature of emergency services, most issues would need to be resolved urgently, sometimes within the hour. 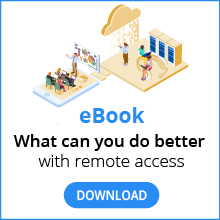 With RealVNC remote access software deployed, the IT team can now fix any problems as they arise, directly from their desk. With the ability to troubleshoot issues remotely, Clackamas Fire District #1 has made significant time and cost savings. The small IT team can now use the time previously spent commuting to various stations more productively, confident that the fire engines are always ready to respond to an emergency. With all fire engines located on different networks and at various stations around the County, the minimal footprint left by RealVNC software with an Enterprise license was the main reason for its selection. The ease of use, security and reliability also offered by RealVNC software made it the ideal solution for maintaining these vital systems, helping Clackamas Fire District #1 to continue to deliver the highest standards of emergency service. 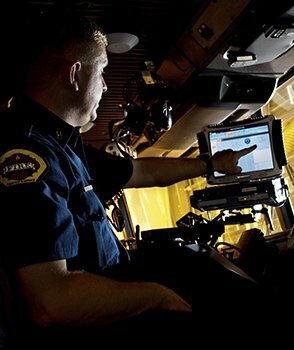 Clackamas Fire District #1’s IT Team has now the ability to maintain and fix vital on-board navigation software remotely, minimizing disruption to emergency rescue efforts.